Mitch Norton of Perth (left) under pressure from DJ Kennedy of Melbourne. It had to happen eventually because Perth's Bryce Cotton is just too good not to make it happen. 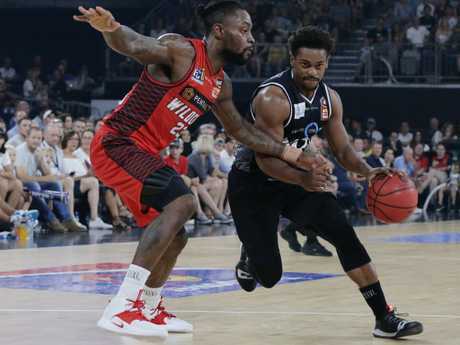 Credit to Cotton, too, the Wildcats gamebreaker did it on Sunday with Terrico White and Damien Martin early on, the pair largely indisposed due to foul trouble. 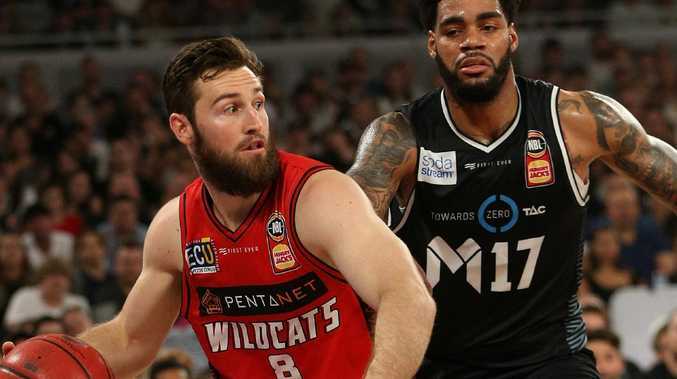 Cotton powered the Wildcats to an ultra-impressive 3-1 NBL grand final series victory over Melbourne United, scoring 28 points in the 97-84 victory at Melbourne Arena in front of a crowd of 10,007. 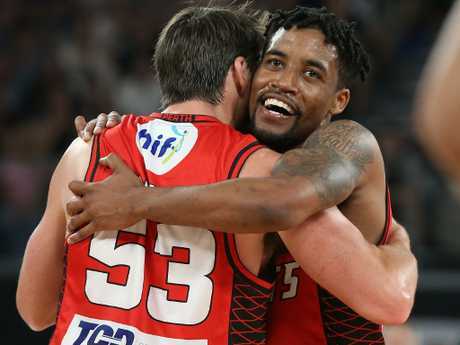 Damian Martin and Bryce Cotton celebrate after winning the NBL championship. United made a promising start but its efforts were derailed as Cotton knocked down 18 points in a sublime first half shooting display. Someone had to stand up for the Wildcats, the league's most successful franchise with nine titles, and Cotton delivered. He had help, too, after the break as White and Mitch Norton found their range to sink United's bid to become the first Victorian club to win back-to-back championships. Melbourne United has built a reputation for never giving up, no matter the margin. 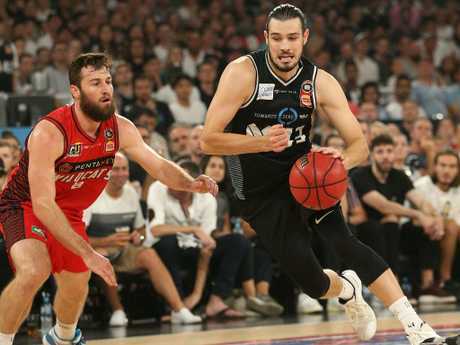 Again on Sunday, that resilience was on show, but all too often Chris Goulding-led United's best efforts to build any momentum was stymied by an electric Wildcats shooting display. United led by eight points during the second quarter but from there had to play catch-up for the remainder, often clawing back to draw level or close to, only then to see the Wildcats kick clear again. 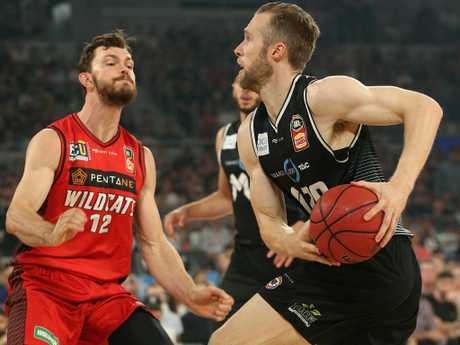 Goulding kept the hosts within striking distance with 15 points off the bench, including four-from-11 from the perimetre but the Wildcats ultimately proved too strong down the stretch. Take a bow, David Barlow. Not one to seek out the limelight but United veteran, who will still be hurting after Sunday's grand final defeat, has given reason for every other 30+ year-old athlete in sports - any code - to believe. Barlow went past six-time NBL champion David Stiff (25), playing his 26th grand final game since he debuted in the league in 2004. 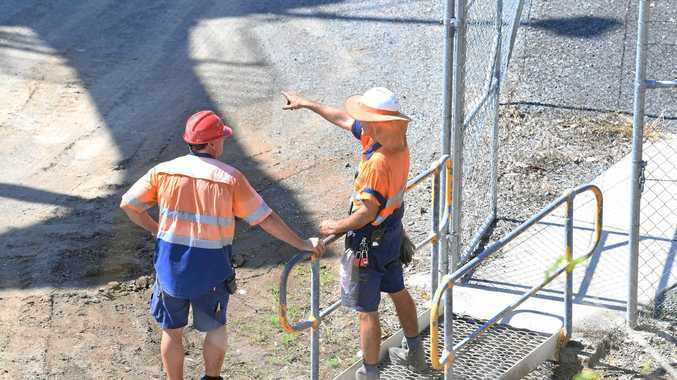 The four-time NBL champion, twice with Sydney Kings and one apiece at Melbourne Tigers and Melbourne United, got United off to a flying start with 10 points, including two threes. The 35-year-old never stopped battling the Wildcats, providing a presence at both ends, but it was ultimately in vein.